She was so worried that I would end up like her that she started me on the yo-yo diets too. At the time I weighed around 130 pounds. Her constant worries about my weight led me to think that I was already fat and it just wrecked my self-esteem. I started the same pattern of yo-yo dieting. I remember at 11 years old going on the Cabbage Soup diet. I even resorted to having my jaw wired shut once. None of it worked, I would take the weight off and then gain it back. Then I just quit trying altogether. I blamed my obesity on genetics: my mom was fat, and so was I. So what was my breaking point? Well we’ve all had one in our life, a time when you are put to the test. When things just seem to keep going wrong and you find yourself spinning out of control. My spin cycle lasted almost two years. My oldest child was married with kids already and my two younger children were cutting the apron strings, and I found myself feeling very lost. I was a 39-year-old woman who had no idea what my purpose was in life. I had been abused as a young girl and had never been dealt with it. I was more depressed then I would even admit. I was the self-proclaimed “Queen Of Denial,” going about my life smiling, pretending like everything was fine, that I was happy and carefree, but on the inside I was crying, I needed some help. Then came a chance encounter with a stranger that changed my life. How I Lost It: I had tagged along with my sister as she ran her very first half marathon. While I was there she introduced me to a wonderful woman named De’Anna Nunez, little did any of us know that she would become the catalyst for complete change in my life from that day forward. De’Anna is a professional hypnotherapist, certified fitness nutrition specialist, NLP practitioner, spirited fitness enthusiast and the founder of a program called The Mind Body Fit Club. It was during one of my sister’s half marathons that De’Anna invited us to listen to what she calls a “Burn Your Fat Pants” event. I sat there and listened to her speak about her program — it was not your usual eat less and move more speech. She was talking about her own struggles and how she was able to overcome them by getting to the bottom of what was eating at her. She talked about being programmed by your life experiences and how your own negative self-thoughts are put there by others when you are young. This sounded oh so familiar to me. She explained to us about what she calls “subconscious integration” and how she uses it to boost your self-esteem, help you to make healthier eating choices and motivate you to exercise. I heard her words and I thought: I can do this! I went home and ordered her program. When it arrived I immediately started listening the CDs and within a few weeks I began noticing that I was actually paying attention to what I ate and I was exercising more. Part of the program consisted of journaling what I ate and answering a daily “soul question.” The soul questions led me to the bottom of a lot of my bad eating habits and it wasn’t until I started healing my head that I began to recognize how much I use food to “feel” better when I was upset. Now I see that I have always been a stress eater or boredom binger, and exercise was a foreign word in my vocabulary. I laugh when I look back and I remember sitting in a counseling session and telling my therapist that I was only exercising to make my husband happy. It was like the more I cleared my head of all those bad memories the better I felt, and the better I felt, the better I wanted to feel. I was happy and somewhere along the way I went from exercising to make my husband happy to exercising because I realized that it was also part of my therapy. I was doing something for myself for a change. The Mind Body Fit Club had taught me ways to deal with my stress other than eating, and they encouraged me to step out of my comfort zone and try new things. Four years ago I thought running a block would kill me, then I decided to quit listening to those negative thoughts and I began to try. I went from running to the next light post to running to the end of the block, then two, and three until I finally ran one full mile without stopping. I will never forget that day! I was so proud of myself, I wanted to cry. I have gone on to run many more miles since then. I have run 5Ks,10Ks, 15Ks, four sprint triathlons and 12 half-marathons! Never in my wildest dreams did I think I could do that. I also learned how to fuel my body for my training. I eat for energy now, not to “feel better.” I practice portion control and have tried to cut out all processed food if possible. I eat every three or four hours. I eat a protein and a vegetable with every meal. I rarely eat carbs like bread or pasta, but if I do I make sure it’s whole wheat. I have gained so much since I started: I have gained self-confidence, I have gained determination, I have gained many new fit friends and in gaining all those things I have lost more than 100 pounds and even more importantly I have kept if off for 3 years now. My name is Jaylene, I am perfectly imperfect, beautiful in my flaws, chaotic, fearless, a beautiful disaster, try and bring me down, I will rise to the top, say I am wrong, I will prove I’m right, tell me I can’t, I’ll show you I can! 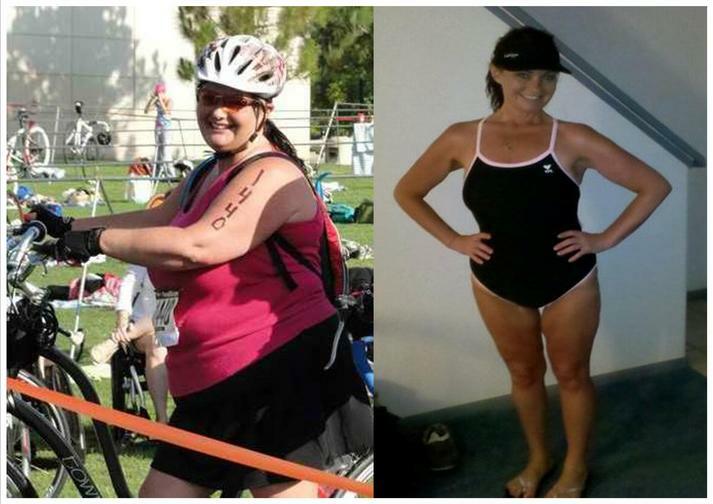 ← Previous Story 89 Pounds Lost: 8 YEARS TO LOSE 89 POUNDS BECAUSE I WOULD NOT GIVE UP ON GETTING MY HAPPINESS BACK!